Our local gastronomic scene seems to have been taken by storm with a new wave of “inventive” and somewhat “avant garde” kinda culinary styles where anything goes as long as it looks really appetising, tastes pretty good, seemingly healthy and most importantly, Instagram worthy. I don’t dig most of these “experimental” culinary concepts well but I must say some of them are really quite delicious, so much so that I would go through the trouble of garnering all of my favorite ingredients to make a portion at home just to satiate a craving. 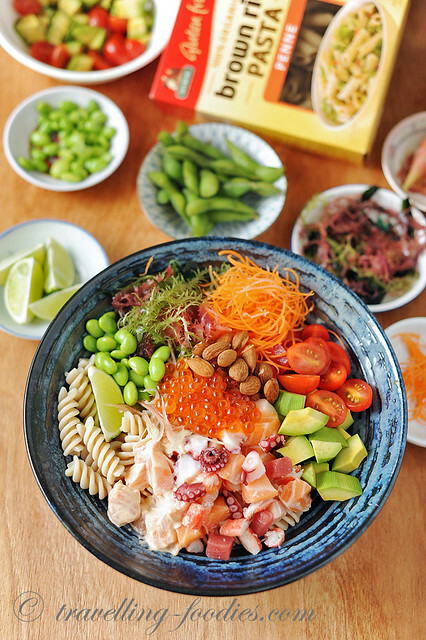 The poké bowl is one such recent craze. Ask me what I deem to be the most delicious in this world which I cannot stop eating, I probably can’t give you a definite answer. So many foods would come spinning in my head like sevens on a pachinko machine. Über fresh sea urchin roe sashimi (uni) over a bowl of piping hot Japanese short-grain rice, perfectly braised pork belly sandwiched in crisp salad greens, timely cooked Kacchi chicken biryani, freshly baked ciabatta with a simple pesto dip and aged balsamic vinegar, otah otah from just fresh mackerel and coconut milk, chilled pengat durian… and the list runs on and on. Ask me again on what I find to be the most delicious dish which can be whipped up in just minutes and the list narrows down quite easily to just one candidate emerging victorious and somewhat vindictive. 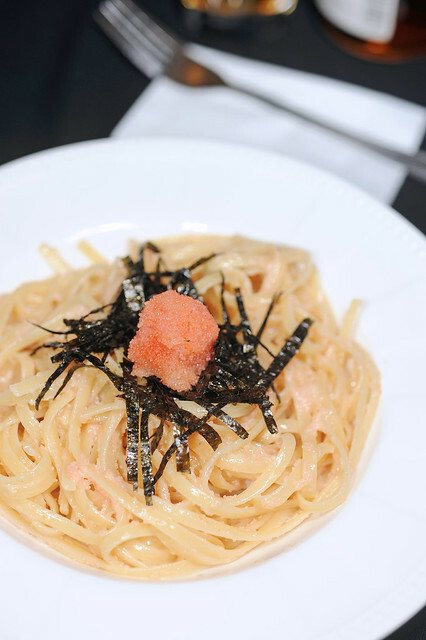 It has to be 明太子パスタ Mentaiko Pasta!